Valve has revealed all the nominees for the Steam Awards. 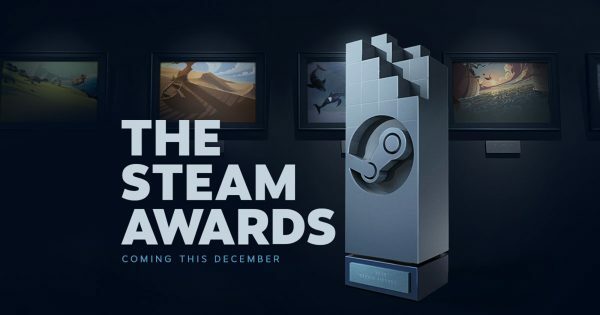 The Steam Awards, Valve’s PC game awards that debuted with the recent Autumn sale, have gained an official list of nominees. During the sale, Valve asked everyone to nominate any game for a number of pre-created categories, and left a couple of options open for the community to create new ones. The developer said that over 15 million nominations were submitted. Voting begins on December 22 with the ‘Villain Most In Need Of A Hug’ award. Every day from then until December 30, a new award will be made available for voting, but only for that day. During the Autumn sale, Valve asked the community to create a new award. Though a lot of the submissions were more funny than practical, Valve eventually picked not one, but four sensible options. Voting on all four will be open on December 30. All winners will be announced on New Year’s Eve. See the nominees for each category below. Voting kicks off 10am PST/ 1pm ET / 6pm GMT on each day.